Such a special time! … The sights, the sounds; the misty morning light and starry sky at night at Axpe; the picnics, and idyllic settings; the going up and the going down of the trails; the enchanting forests and the panoramic rural and coastal views; the history, the myths, the saints, the culture and even the jokes! ; the storytelling, the card games and the camaraderie of the group; and the helping hands when the going got tough. And so much more! I will write something down the road on Facebook or the website for On Foot in Spain because I want others to know the gift of this journey from Nancy’s & Jose’s incredible knowledge shared about the special places on the Camino and the hikes designed to bring the Camino alive for each of us. Who could forget the wonderful picnic lunches each day unique to each region we traveled through (how I missed the picnic the day after I left you). 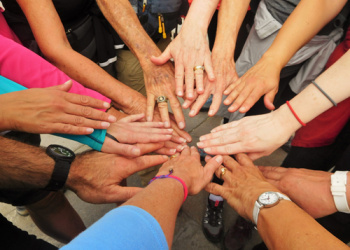 All in all this Pilgrim’s journey was deeper, fuller and richer from the gift of On Foot in Spain and the love and commitment of Nancy and Jose to the El Camino de Santiago and to each of us on our pilgrimages shared. We not only survived your well planned walk through the beautiful Basque country but also really enjoyed every minute of it. What did we enjoy the most? The trails were wonderful, the accommodation in the comfort bracket and sometimes really interesting, the universally proclaimed lunches, (carted and prepared by Jose,) the history and culture of this amazing Basque country and its friendly people and its special food and wine (especially Pinchos) the unforgettable lunch at Etxebarri and even your jokes all bring back great memories. However it was the warmth and friendship of your wonderful family and the amazing camaraderie of an eclectic walking group that stood out. Suffice to say we had a wonderful time! What a beautiful note, Nancy. It sums up well the tremendous experience of sharing the Camino with this very special group of people. We all have much to look back on. You provided us with a marvellous, varied, and rich experience. Even without the small miracle of a highly compatible group of merry folk, it would have been a wonderful trip. WITH them -- and you and Jose -- it was magical. I can’t thank you both enough for the wonderful time you gave me in showing me your Camino. Your love for this magical walk certainly shows in everything you do, and it is something that I will always remember and draw strength from. There's a saying in San Diego: "You can't have a bad day at the beach!" I would suggest that you can't have a bad Camino. I believe that anyone who travels the Camino will be positively changed either physically, mentally and/or spiritually. However, if you are able to travel the Camino with Nancy and Jose that experience will be taken to the next level. You will come away with a much deeper understanding of what the Camino is truly all about. Nancy and Jose LIVE the Camino. It is their life's passion to instill in each of us their love of the unique history, the beauty of the natural surroundings, the fabulous foods, the vintage wines, the authentic culture and the genuine people who make up the Camino. I have been taken to the next level, and would highly recommend this journey to you. You brought the best out in everybody and allowed us to be ourselves. The tour had many dimensions for me – not in any order. Weather was fabulous, loved all the local wines and food. The variation of accomodationn. It was phyiscal, it had spirituality and history, we had a great group, it was fun ,relaxed and organised without being too structured_- congratulations to you both, you brought the best out in everybody and allowed us to be ourselves. ….warmth, kindness and generosity of spirit…. On a personal note, thank you for guiding us through this remarkable journey. It was a privilege for us to have you accompany us and share in your warmth, kindness and generosity of spirit along the Camino. There are not enough thanks in the world!!! Even after being home for only two weeks I am still processing the entire experience. It was more spiritual than I had expected, and I can see some potential long-term effects in how I view "Life" and my place in it. How wonderful that you are conduits for providing such experiences! Northern Spain was even more breathtaking than I had expected; the scenery, food, and most of all people! We had an exceptional group (your best, remember?) led by two dynamic and passionate human beings. There are not enough thanks in the world!!! Set the bar very high…. Nancy, we are reminiscing of our happy holiday with you ALL the time. You have set the bar very high for any future tour guides. It was the best.